It is snowing outside the windows, and we, in warm apartments, are starting to remember: "My God, a month is left before the New Year!". Its time to get ready for the most beloved and warm holiday of childhood with DarkSwords. 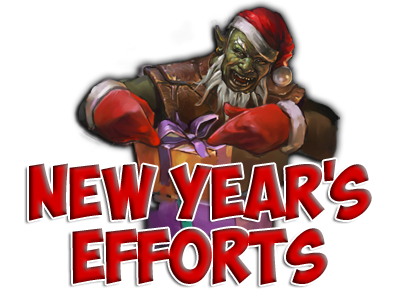 We are launching a big event called “New Years Efforts”. Rules: every day new tasks will appear on a special page and you should have time to complete them within 24 hours. The more tasks you complete, the more prizes you will receive. Remove the mittens, breathe on the frozen fingers and start! Winter is coming!